Justin Bieber Forget the Bunnies ... Easter's All About Jesus! If there was any doubt Justin Bieber is a true believer in Christ ... he just put all that to rest with a huge plug to his Lord and savior on the holiest of days. 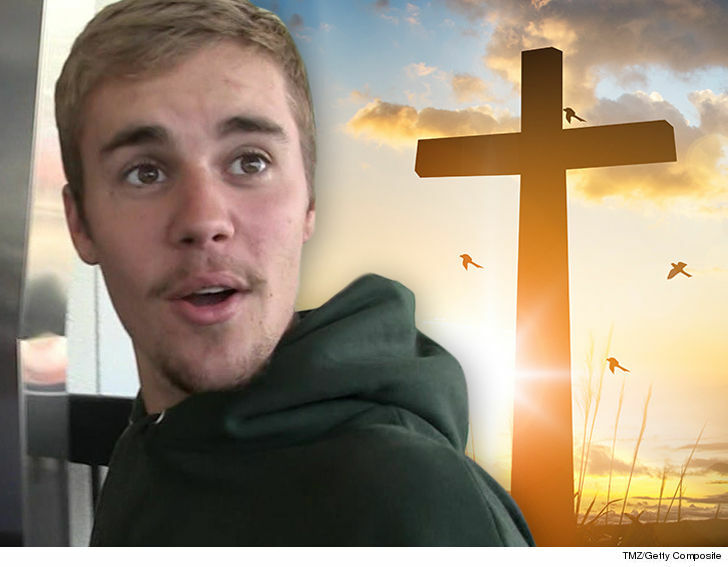 Bieber posted an Easter message Sunday that confirms pretty much everything we knew about his renewed Christian faith. In the post he starts with ... "JESUS HAS CHANGED MY LIFE," going on to mention the true meaning of the holiday -- and it ain't about a bunny or eggs. It's pretty clear JB gets down with JC -- he's at church quite a lot these days, and hell, even canceled the rest of his world tour last year over him. But this appears to be one of the few explicit endorsements of his religious views coming straight from the horse's mouth. Quite the difference from, say, Aubrey O'Day's Easter special. But hey, we can't all be saints.